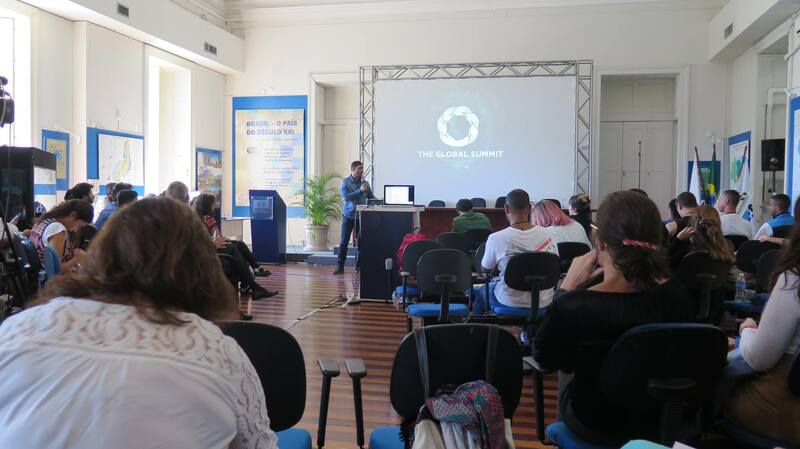 From August 23 to 30, Rio de Janeiro hosted the 5th The Global Summit at the Earth Sciences Museum in Urca. 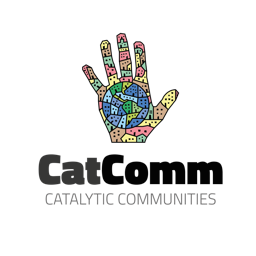 The event sought to give voice to the large, diverse people and organizations in attendance–around 150–that work toward a more sustainable world. Its fifth edition, taking place just after the Olympics, called attention to the creation of a new paradigm for climate economics, thriving cities, education for all, and whole health–the four themes of the event–based on social impact and collaborative social actions. 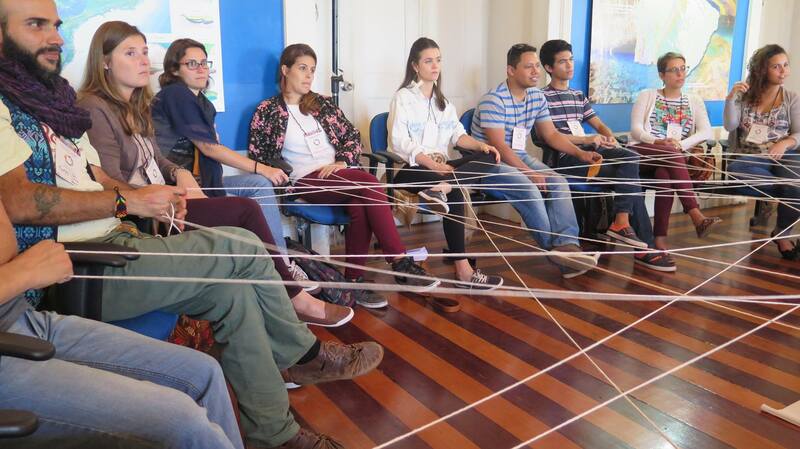 The event also served as a training, with the “seven stages to sustainability” presented by dedicated and well-trained volunteer facilitators with a focus on co-creation, a way of directing practical actions that optimizes the resources and shared knowledge of participants. The objective in this case is to transform territories into sustainable places of varying scope, including recognizing that each person is an agent of change and that when we work together, big change is possible. On the mornings of August 24 to 26 there were debate plenary sessions including Olympic Exhale: Housing, Social Justice & Local Futures with Sandra Maria from Vila Autódromo, Emília Souza from Horto, Theresa Williamson from Catalytic Communities and Tainá Cardoso from TETO; Media Transparency and Other Ideas for Democracy in the 21st Century with David Miranda; and Building Peace: Harnessing Conflict as an Opportunity for Transformation with Dominic Barter. During the afternoons, four large groups would organize around the themes: Thriving Cities, Whole Health, Education for All and Climate Economics. 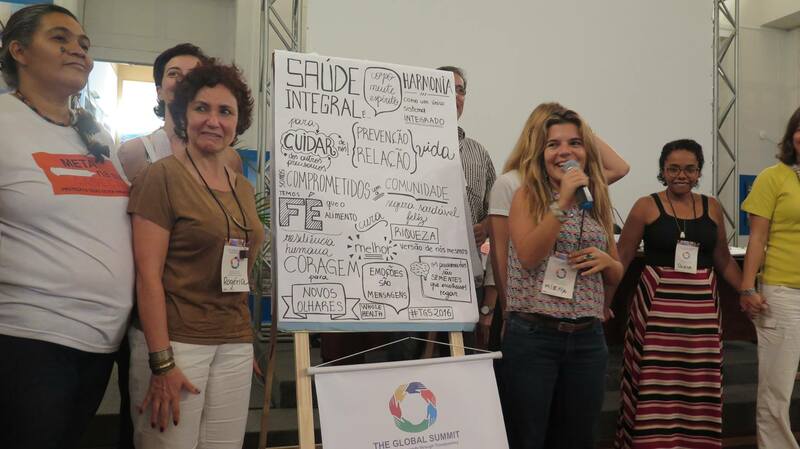 Each group trained and heard presentations by people–“voices” in the The Global Summit nomenclature–who have already developed initiatives in each area. The Thriving Cities group, for example, came to a unanimous conclusion of its goal to encourage collaborative citizen-based participation in the city, a movement that considers the majority, stimulating people to interact with the city and to reframe urban space. 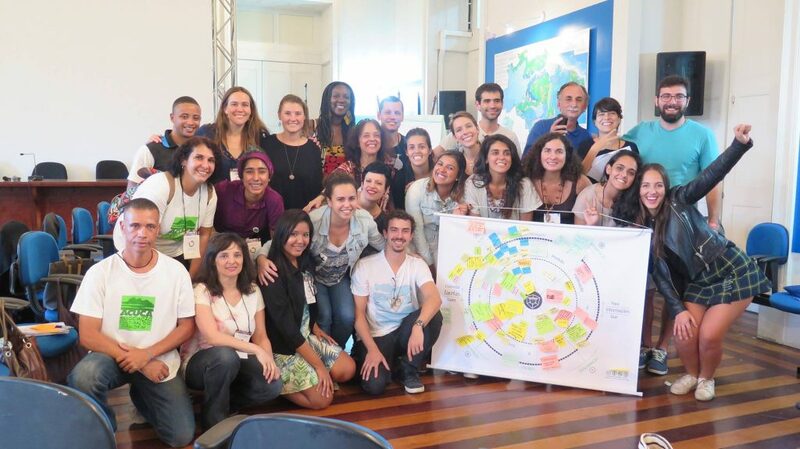 The group was comprised of citizens who represent a wide variety of socio-environmental initiatives in Rio and beyond, including City of God’s community newspaper CDD Acontece, Gaia Jovem, Morada da Floresta, Projeto Ruas, and Conectando Territórios, among others. On the group’s first day leaders were heard, such as Otávio Barros, the community leader of Vale Encantado which develops sustainable projects, such as techniques for sewage treatment by way of biodigestors, and solar panels, working with residents both inside and outside the community. 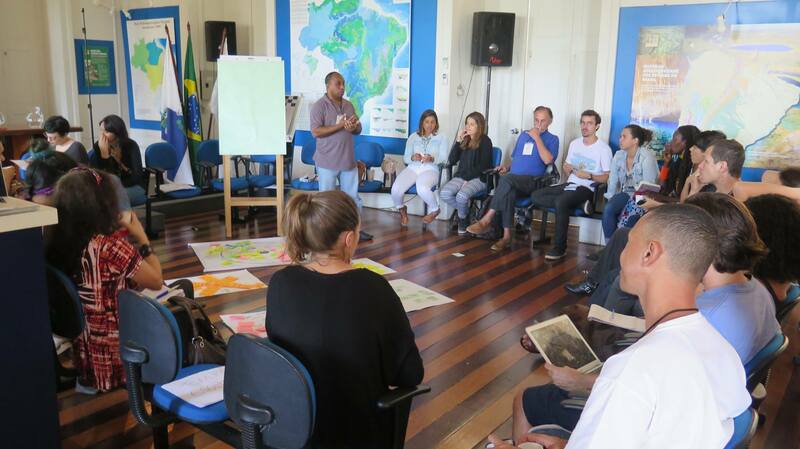 On the second day, Adilson Almeida, president of the Quilombo Camorim Cultural Association located in the Pedra Branca State Park, the world’s largest urban forest, spoke about the challenges the Camorim community faces to keep its traditions and culture alive. The residents restore areas degraded by the military and have a nature guides project which trains monitors to work with tourism. They also develop artisanal products from recycled material and recycle cooking oil. This quilombo is one of the oldest in Brazil and was recognized in 2014 by the Palmares Foundation. The quilombo territory was invaded by a construction company that built the Media Village for the Olympics, deforesting an area of Atlantic Forest the size of five soccer fields. In this space a cultural reference center for the community would be built. 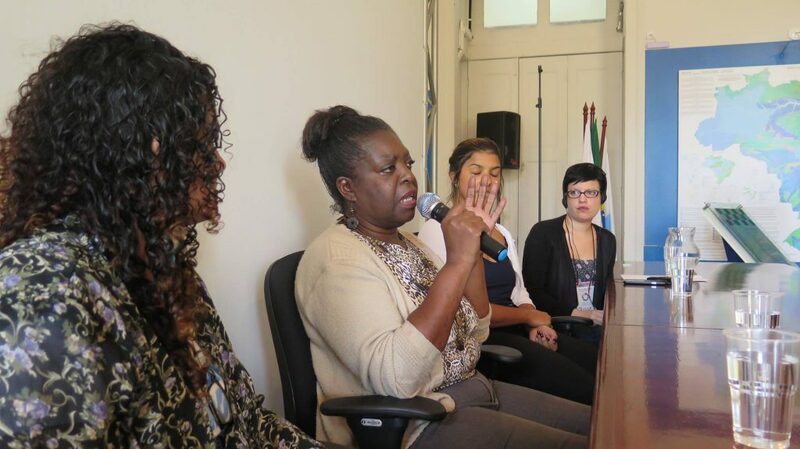 Irenaldo Honório da Silva, president of the Pica-Pau Residents Association, located in Cordovil in the North Zone of Rio, presented the big challenges his community faces due to receiving minimal government assistance. The favela faces urgent infrastructure problems such as the sanitation system, where many houses aren’t connected to a water system. This problem affects the health of the community, since the water isn’t treated. Irenaldo spoke about the urgent situation of the community’s kids and youth, some of whom have been abandoned and aren’t in school. 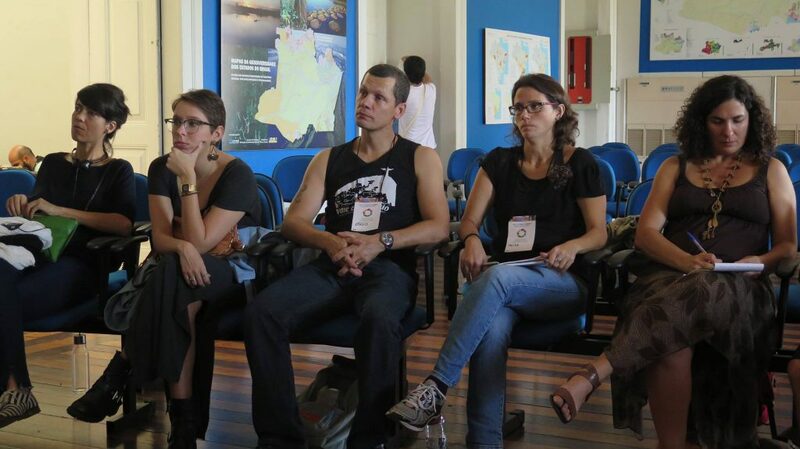 From Irenaldo’s story, it was suggested that collaboative action should be taken in Pica-Pau as a way of creating a methodology that can serve for other communities in the future. 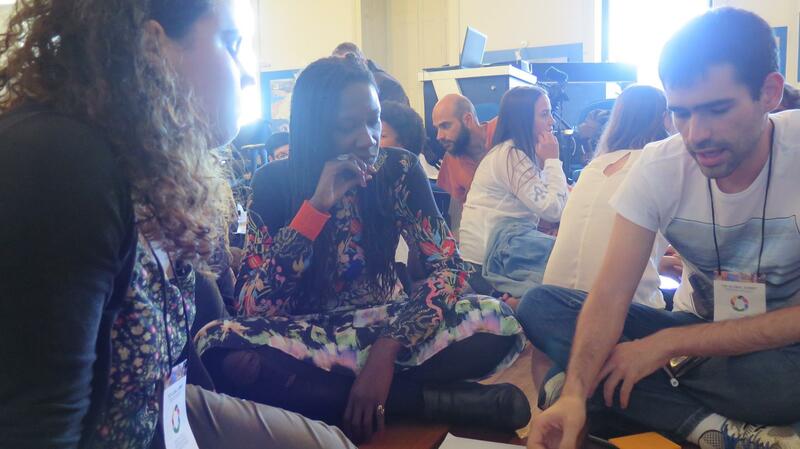 A process of co-created social action will be performed the Thriving Cities group together with Pica-Pau residents. On the weekend of August 27 and 28 a hackathon was held at Rio Criativo, where the four groups got together to detail plans for their collaborative actions and in so doing created the The Global Summit Brasil Community. Finally, the event ended on August 30 at the Earth Sciences Museum with a presentation of projects developed by each group, including that of Thriving Cities, whose first action together with the Pica-Pau community has been set for December 3 with the goal of documenting community needs, providing co-creation training and supporting community engagement. 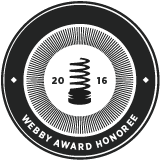 This article was written by Thaís Rosa Pinheiro, and published on September 8, 2016.